Will you be able to jailbreak the new iPad and can you jailbreak the just-released iOS 5.1 software? If you're a jailbreaker like me, that's probably the first question you asked yourself following Apple's big even yesterday. I know it's the question a lot of you are asking us. As of now, we really don't know much other than there probably won't be a jailbreak ready for release. Considering the new iPad comes with an upgraded A5X processor, we can safely assume any existing tool would need to be heavily updated to support it. Given how long it took to jailbreak the iPhone 4S and iPad 2's A5 processor we could be in for quite a wait. There's just no way to tell until jailbreak developers get their hands on the new iPad and get to work. Bottom line, don't by the new iPad expecting to jailbreak it day one. If you've got a current generation AppleTV2 and you update to the newer firmware, you'll lose your jailbreak. If you've got your blobs saved, you'll be good to downgrade though if you'd like your jailbreak back. While we aren't sure yet when it comes to the 3rd generation AppleTV, FireCore seems pretty certain they'll be able to issue an update to jailbreak the new iteration of the AppleTV as well. Will aTV Flash (black) be compatible? The short answer is: Yes! There will undoubtedly be a few obstacles to overcome in order to get everything up to speed, but based on our past experiences and progress thus far we're confident we can put the pieces in place to make it happen. Again, don't expect to be able to jailbreak it day one but odds are, you'll have a jailbreak sooner rather than later. If you have an iPhone 4S or iPad 2 (which both use the Apple A5 chipset) and want to keep your jailbreak, I highly recommend staying away from iOS 5.1. As soon as Apple stops signing iOS 5.0.1, you will not be able to downgrade even if you have your SHSH blobs saved. The only exception to this is if you have an iPad 2 that has blobs saved for some version of iOS 4. You will be able to downgrade to those. 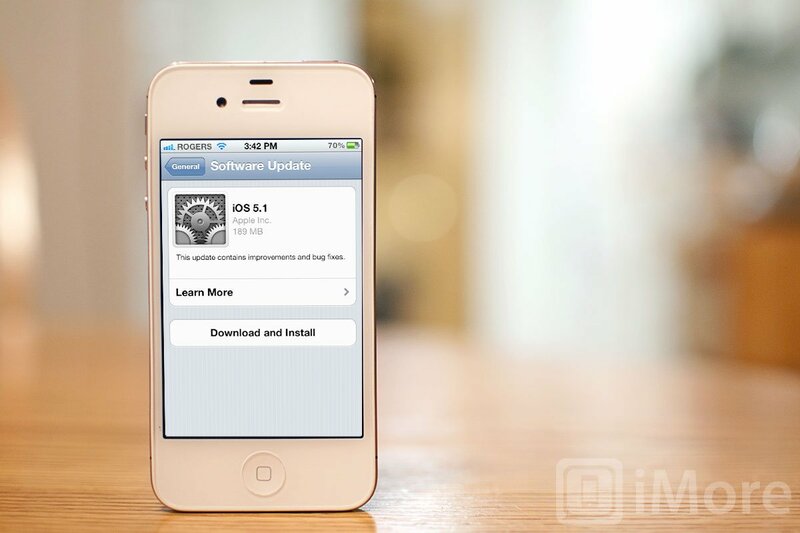 iPhone 4S users will not be able to downgrade. If you want to stay jailbroken, stay away from iOS 5 for now. The Dev-Team has released a tethered jailbreak for iOS 5.1 via redsn0w 0.9.10b6 that works with the iPhone 4 and original iPad. If you are dying to upgrade to iOS 5.1 and you're okay with being tethered, you can go right ahead. I'd highly recommend staying untethered on iOS 5.0.1 until an untethered version for iOS 5.1 is released, however. For those not familiar with what tethering means, you'll basically have to connect to your computer any time you want or need to reboot your iPhone or original iPad. That means any time your devices turns off or runs out of power, you have to go back to redsn0w and perform what is called a tethered boot. The up side is that you will be able to downgrade back to iOS 5.0.1 or earlier iOS versions, unlike iPhone 4S and iPad 2 users, as long as you have your blobs saved. Again, unless you really need iOS 5.1 now and don't mind a tether, stay away. If you've got an older boot rom, you can update to iOS 5.1 and enjoy an untethered jailbreak. Newer boot rom devices will be tethered just like the iPhone 4 and original iPad. If you rely on using a program like ultrasn0w for a software unlock, I'd suggest holding off. If you really fancy having iOS 5.1, you can do so but you'll need to create a custom IPSW in order to upgrade so your baseband will remain in tact. You can do this with the newly released version of redsn0w available in our downloads section via the link below. If you really love your jailbreak and all the apps, hacks, and utilities stick with iOS 5.0.1 or earlier an iPad 2 or earlier. While tethered jailbreaks are tolerable, I really don't think iOS 5.1 added enough features that would warrant moving to a tethered jailbreak or losing your jailbreak altogether. Unless you are dying to check out new software like iPhoto for iOS, most users will be perfectly fine on iOS 5.0.1 untethered for now. And if you really want a new iPad, get it and enjoy it stock for now.